Sadly, it appears as though this thread will now turn into a tribute to Jim. I just learned on FB that he's passed away. I'm still in shock. The Alfa community has lost a truly great resource, and many of us have lost a great friend. I had occasion to interact by web and in person with Jim. Each time I was impressed by his unreserved generosity and kindness. In my view, he was a treasure for the Alfa community and as such an immeasurable loss. It would be fitting for the management of the BB to pay a formal tribute to the man. jaxstand and Austin Alfa like this. Jim was my mentor for this young Alfisti and over the past few years both he and his wife became family. He was a good man who gave anyone a helping hand giving both time and knowledge. I am still in shock over his death and miss him dearly. For those who knew him , have nothing but good things to say and for those who didn't , when the word Alfisti or if someone asked the question , are there good people in the world, he was the answer. His contributions to this community will help future generations care for these cars. It was an honor for both my father and I to call him friend. jaxstand and spiderJohnNH like this. The Alfa bug has bit me young !!!! "Just trying to perpetuate the information, knowledge and the spirit to share it"
jaxstand and bruce1976spider like this. I've known Jim since I joined in 03, hung with him at several conventions, talked Alfa elec issues more times than I can remember. I am lucky and glad, that I got to talk with him at length several times last month. He knew his time was coming and still had a good attitude and spirit. I'm glad I got to make him laugh, and then get enthused, about my antics putting points in a GTV6 distributor. He gave more of his time than anybody, always responded and helped so many. And like a BB'er said above, when he answered the phone at any hour to help you in a tight Alfa wrenching spot, he always treated you like a best friend. Naplesworkshops, jaxstand and stefmiesterb like this. I heard the news late yesterday and am still having trouble processing it. I feel privileged to have been able to call him friend. When I got my Spider in '03 and began the process of pulling the engine to rebuild it, he reached out with advice and loaned me some specialty tools. I think he was nevertheless surprised (I know others were) when I got everything put together in time for the 2004 convention in Manchester, New Hampshire, where I finally got to meet him in person (photo below). My partner Lorain, feeling my grief, said, "everyone misses their senseis." When she said that, I realized that's exactly what Jim was for me, and no doubt a great many of us--a sensei. He guided us and shared more than just knowledge, but rather wisdom, in the most friendly and generous way possible. And how I loved, when I'd discuss something over the phone with him and I thought a solution through, apparently to Jim's satisfaction, and he'd exclaim, "Bingo!" I wonder how many of us have enjoyed hearing that. jaxstand and Barn101 like this. It is with profound regret that the Moderator's announce the passing of Jim 'Papajam' Neill on the 27 December 2018. Jim had been ill for a while and had borne his illness with the same courage and fortitude with which which he lived his life. Typical of Jim in that when he realised that his time was running short that his thoughts would be of other people in his life and how he could lessen their burdens. Jim was a caring and loving husband, a family man, loyal and truthful, a man who gave freely of his time and his expertise to benefit others. 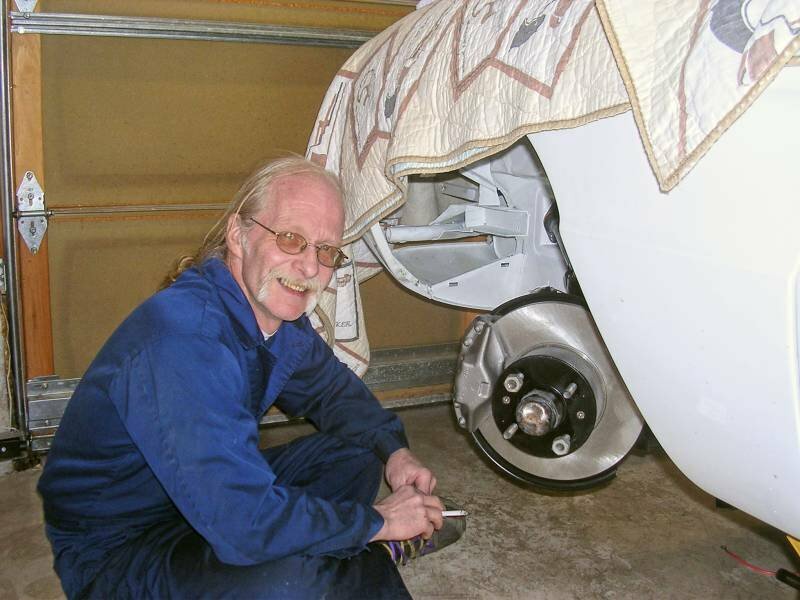 Jim spent hundreds of hours each year helping Alfa owner diagnose and repair their cars. At the annual AROC conventions you would see Jim driving in an autocross, slalom or racing. You would also see him in the parking lot with his head under the hood or under an Alfa of a fellow Alfista. Jim would often have parts on hand or find the parts from another owner to repair the car. Never once would he take payment for the services and or parts. His myriad of exemplary wiring diagrams are a testament to his patience and attention to detail and are a legacy that will continue to help his fellow Alfisti for many years to come. He spent hundreds of hours on them getting the details right. Who knows how many owners have benefited from his work. He was truly a tireless individual who always gave to others. Even while he was sick, he would spend time on the phone with an Alfa owner diagnosing problems and getting the car repaired. Jim was knowledgeable about every aspect of Alfas from electrical to mechanical. His favorite was the GTV 1750. For many years he was the custodian of the AROC USA library and his guiding hand has ensured that this repository of knowledge is cataloged and available to his fellow Alfisti. He knew the source of every manual and scanned document. He enjoyed researching through the plethora of documentation to determine the "correctness" of a part for a car. Also, Jim was a huge Beatles fan. Jim and Jaci would spend Sunday mornings listening to Breakfast with the Beatles. Jim would play the piano while he and Jaci sang the song that was being broadcast over the radio, FM 102.9. To say he was a Beatles fan would be an understatement. Some of us have been in constant contact with Jaci via the phone. She wants every one to know how much she appreciates the love the community had for Jim. Our thoughts go out to his wife Jaci and his family in this time. Capp, Milanoguy, Stevew and 13 others like this. Last edited by ossodiseppia; 12-28-2018 at 08:59 PM. Man, I had no idea he was sick. We'd been emailing each other right before Christmas because he'd been helping me figure out the wiring and history on my GTV. So shocked and sad. I'm really sorry for the delay in getting this out. The moderators had a lot to consider before making the announcement. Please feel free to post comments and photos to the thread below. Jim will be missed by all. Godspeed to a good friend. I had talked to him recently - he told me about his health issues (I am a retired Registered Nurse) but he felt he was improving. Just feeling sad now, but glad for the friendship we shared. I haven't logged in for a while but for some reason felt compelled today and then saw this news. So very sad to hear of the passing of such a talented and generous Alfisti. I'm sure I am not alone in spending a fair amount of time on the phone with Jim talking about my 1750 engine and webers. It is not common for a complete stranger to give out their personal number and time like this. Those calls and his wiring diagram were a huge help in moving my knowledge forward and eventually getting my GTV back on the road. That success belongs to him as much as anyone. My condolences to his family. Jim was a special man. I have only been a member of the BB for a little less than five years. During this time, a number BB members have passed away, and though each were fondly remembered and apparently well-liked, or respected, I knew none of them. While I have no intention of inferring that I had a personal relationship with Jim Neil, my contacts with him were all edifying, encouraging and educational. I felt that he was glad that Alfas were important to me and though I never had the opportunity to meet him, he made me feel "welcomed". Those of you who knew him are better for it. I pray he rests in peace and that his wife and family take comfort in knowing that they are in the thoughts and prayers of many. jaxstand, james2000, JCDK and 3 others like this. Last edited by Raimondo; 12-28-2018 at 05:45 PM. This is very sad indeed. Never spoke or saw the man but had email exchanges with him. ballough510 and jaxstand like this.